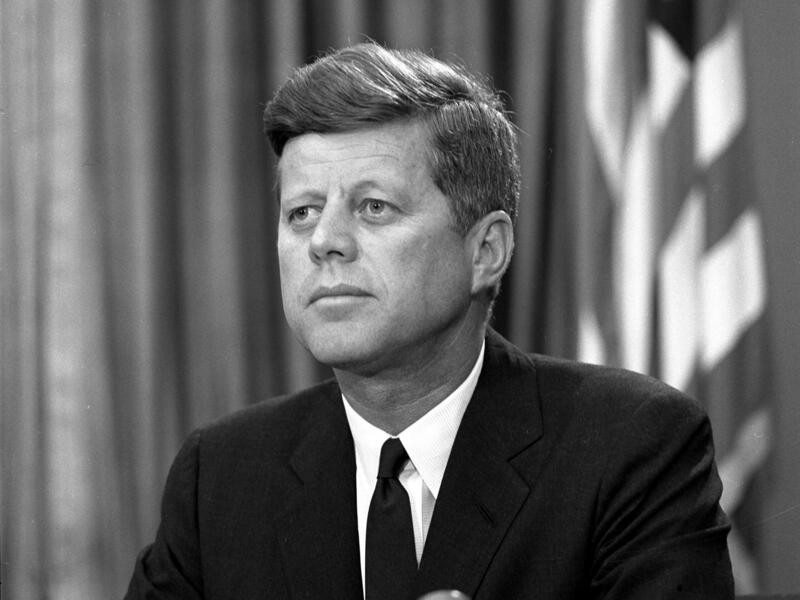 BOSTON -- The anticipated release of thousands of never-before-seen government documents related to President John F. Kennedy's assassination has scholars and armchair detectives buzzing. Now, they're waiting to see whether President Trump will block the release of files that could shed light on a tragedy that has stirred conspiracy theories for decades. The National Archives has until Oct. 26 to disclose the remaining files related to Kennedy's 1963 assassination, unless Mr. Trump intervenes. The CIA and FBI, whose records make up the bulk of the batch, won't say whether they've appealed to the Republican president to keep them under wraps. "The American public deserves to know the facts, or at least they deserve to know what the government has kept hidden from them for all these years," Larry Sabato, director of the University of Virginia Center for Politics and author of a book about Kennedy, said in an email to The Associated Press. "It's long past the time to be forthcoming with this information," he said. It's unlikely the documents contain any big revelations about Kennedy's killing, said Judge John Tunheim, who was chairman of the independent agency in the 1990s that made public many assassination records and decided how long others could remain secret. Sabato and other JFK scholars believe the trove of files may provide insight into assassin Lee Harvey Oswald's trip to Mexico City weeks before the killing, during which he visited the Soviet and Cuban embassies. Oswald's stated reason for going was to get visas that would allow him to enter Cuba and the Soviet Union, according to the Warren Commission, the investigative body established by President Lyndon B. Johnson, but much about the trip remains unknown. Kennedy experts also hope to see the full report on Oswald's trip to Mexico City from staffers of the House committee that investigated the assassination, said Rex Bradford, president of the Mary Ferrell Foundation, which publishes assassination records. The White House didn't immediately respond to emails seeking comment. The FBI declined to comment on whether it has asked Mr. Trump to keep the files hidden. A CIA spokeswoman would say only that it "continues to engage in the process to determine the appropriate next steps with respect to any previously-unreleased CIA information." The files that were withheld in full were those the Assassination Records Review Board deemed "not believed relevant," Tunheim said. Its members sought to ensure they weren't hiding any information directly related to Kennedy's assassination, but there may be nuggets of information in the files that they didn't realize was important two decades ago, he said. "Oswald might have had a clear motive, one that we have never really understood for killing Kennedy, because he thought that by killing Kennedy he might be saving the life of Fidel Castro," said Philip Shenon, a former New York Times reporter who has written a book about Kennedy's assassination. It's unlikely the National Archives will release some IRS records, including the tax returns of Jack Ruby, the man who killed Oswald, Bradford said. And even a full release of the documents isn't likely to put to rest conspiracy theories that have swirled around the young president's death for more than five decades. "People will probably always believe there must have been a conspiracy," Tunheim said. "I just don't think that the federal government, in particular, is efficient enough to hide a secret like that for so long," he said.